Almost three dozen teens have died in Connecticut from opioid-related overdoses since 2012. 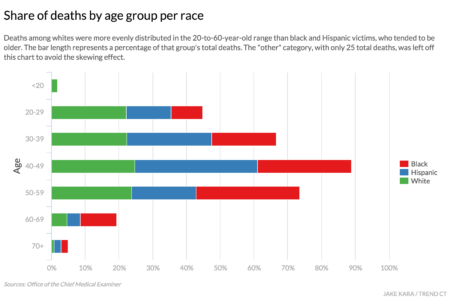 Out of about 2,600 deaths in the state, 33 were of teenagers (or about 1.3 percent). Ages ranged from 14 to 19, and the figures have been climbing since 2013 after falling from ten in 2012. The biggest jump in the first three months of 2016 was among deaths involving fentanyl, an extremely potent synthetic opioid that’s often used as a painkiller in hospitals. 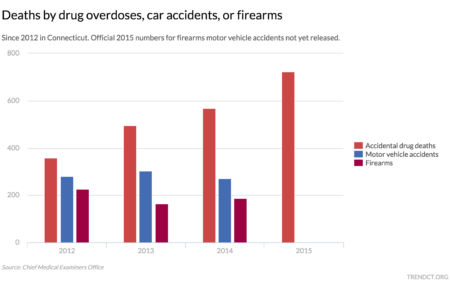 The number of deaths involving the drug more than doubled in the first quarter of 2016 compared to the same time last year.